Mormonism is either another example of the lengths to which humans will go and the suffering they will endure to make a God or Gods in their own image OR it is among the most clever of the works of the evil one causing sincere believers to neglect their families in this life in the hopes of being with them in the next. Mormonism thus either falsifies Christianity and perhaps all religions OR it shows the extent to which evil has triumphed in our world leading even the elect of God into secret paths where children are not welcomed with their parents, where both adults and adolescents are mislead into serving and worshipping not God and His Christ but the dead, working for them instead of for the living. 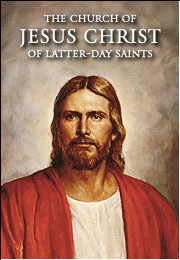 Mormonism is not the restoration of Christianity as it existed when the Apostles were still living. The Book of Mormon is a work of fiction and is not a translation of an historical record. It is more likely that Christianity is false than it is probable that Mormonism is true.